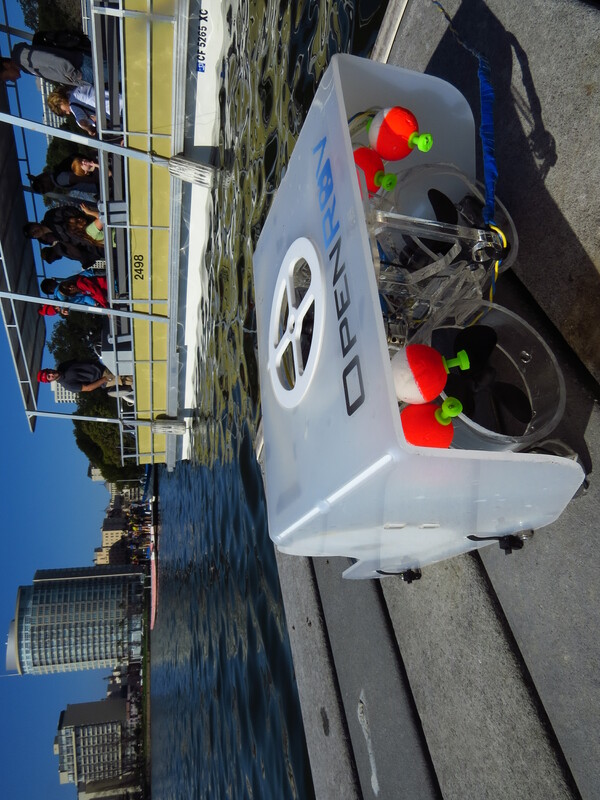 An OpenROV at Lake Merritt. Photo by author. In 1946, Jacques Yves Cousteau and Émile Gagnan released the Aqualung, forever changing the way humans interact with the oceans. No longer tethered to the surface, entombed in thick, restrictive helmets, we could dive deeper, stay down longer, and explore the dark places snorkelers and free divers feared to fin. The Aqualung opened up the ocean to an entirely new cohort. Ocean exploration, once the domain of well-resourced scientists, career explorers, and the wealthy elite, was now within the reach of the global middle class. Buoyed by the Aqualung, Marine Science exploded. Marine life could be studied alive and in situ. Behavior could be observed rather than inferred from the stressed and shredded samples of a trawl. The ranks of marine biologists, oceanographers, and explores swelled to numbers that began to gradually approach the relative significance of the ocean to the living world. Marine science is on the brink of the greatest sea change since JYC and Gagnan introduced the Aqualung to the world. In the last 3 years, the OpenROV has evolved from a humble Kickstarter kit to a powerful platform for democratizing science and removing barriers to ocean exploration. Beyond the low cost, which places OpenROV comfortably within the reach of even the most resource-limited organizations, the innovative software package can allow students, instructors, and explorers to access and drive an OpenROV from anywhere that internet is available. The closest competitor, the well-designed, yet expensive, Videoray Scout costs nearly 6 times as much and the complete package tips the scales at more than 70 pounds. I’ve driven both and OpenROV, though it demands a more experienced operator, is the more versatile robot. It’s not until you begin comparisons with major, science-class ROV’s—ROV Isis, Jason II, and the lost ROV Nereus—that you begin to surpass the experience of flying OpenROV. OpenROV is only one facet of the growing Maker movement, harnessing human ingenuity and the desire for discovery to create tools to explore our world. The next century of marine exploration will be defined not by the research goals of the major institutions, but by the curiosity of an increasingly well-resourced maker community. The OpenROV is ready to enter the scientific arena. After several years of hardware and software development, the tough little robot is ready to make a big splash in marine exploration, conservation, management, and even basic science. We’re putting OpenROV to the test. Not all institutions have access to ocean-class oceanographic vessels or multi-million dollars ROVs. Not all research questions can be answered using the narrow limits of a conventional SCUBA system. Not everyone who wants to explore the oceans can swim. We want to tackle the simple question: Can the OpenROV fill a critical equipment gap in marine science and conservation, particularly in regions with limited access to essential resources. To answer this question, we want to get the OpenROV into the hands of its core scientific users, early-career marine scientists, managers, and ocean explorers whose needs cannot necessarily be met by conventional marine ecologic studies. 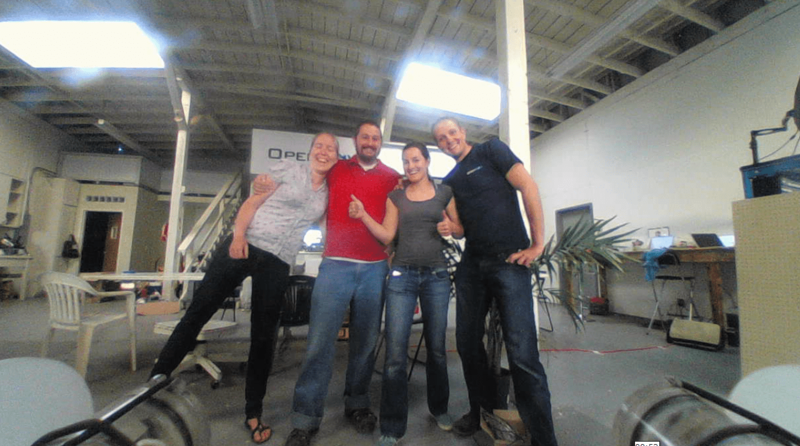 We’re taking OpenROV to Papua New Guinea. 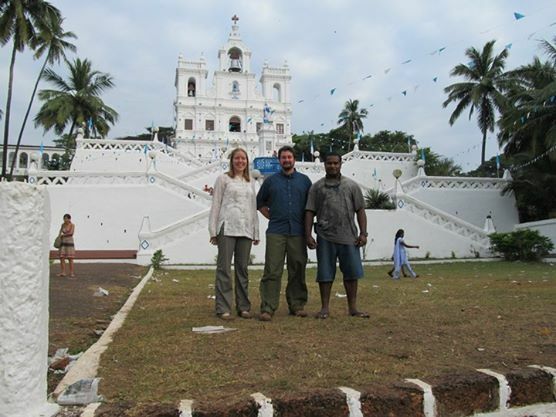 The original trio: Amy Freitag, Andrew Thaler, and William Saleu, in India, the last time we assembled our little group in person. This October, I’m leading a small team of marine ecologists, engineers, and explorers to New Ireland, where we’ll meet up with colleagues and students from the University of Papua New Guinea and the University of the South Pacific. As part of the successful Marine Science Short Course program, we’ll spend almost three weeks running a workshop on Marine Ecology via Remote Observation, where students will not only learn how to use the OpenROV to conduct research, but will build OpenROV’s from scratch, becoming experienced OpenROV technicians as they gain familiarity with the inner workings of these small but powerful robots. The vibrant reefs surrounding Kavieng provide the perfect backdrop for participants to test the capabilities of their new robots and hone their piloting skills as they develop and implement their own ROV-based research project. The 6 ROVs built during the course, as well as all supporting hardware, will remain in Papua New Guinea, a permanent resource for Papua New Guinean ecologists. Team #ROV2PNG International Division – Amy Freitag, Andrew Thaler, Erika Bergman, Dominik Fretz. Photo by an OpenROV. This course represent both a tremendous challenge and opportunity for everyone involved. I genuinely believe that tools like OpenROV are going to play a pivotal role in the next century of marine science, conservation, and exploration. We’re just rising over the first wave of a long journey into the deep blue sea. We’re not committing to any real-time outreach. The combination of unreliable internet connection and the shear intensity of running this course over barely three weeks means that both our bandwidth and our time will be limited. You can follow along with our preparation on the #ROV2PNG hashtag and we will attempt to provide updates here and through our expedition on OpenExplorer (an entirely separate revolution in citizen exploration). You can follow our team members on Twitter: @SFriedScientist, @BomaiCruz, @Erika_Bergman, @CodewithPassion, and @bgrassbluecrab (if small updates can be posted, they’ll be posted there).